This Classic Review might have made more sense a few months ago, when I was beginning my reread through Narnia…but as I approach the end (just The Last Battle to go! ), it seems like a good time to re-post my review of the first (or chronologically, the second) book in the series…The Lion, the Witch and the Wardrobe by C. S. Lewis. I know I read this one before, but I honestly couldn’t tell you how long ago it was. Years and years, although the story is so familiar that in some ways it doesn’t feel that long. 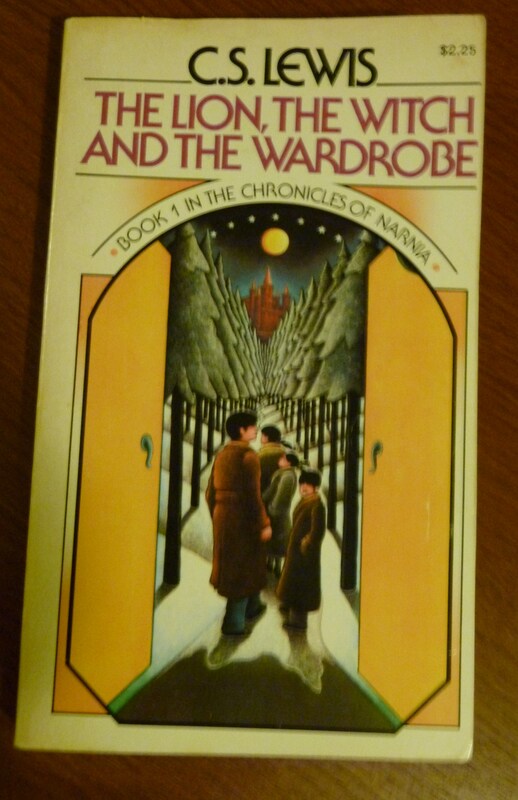 For those who don’t know the story (sidenote–I once overheard a woman tell a librarian she’d never heard of the series, so it’s possible), it’s the story of four children who go through a wardrobe and find themselves in the magical country of Narnia. There they meet the great Lion Aslan and fight an epic battle against the White Witch. It’s a wonderful story on many levels. It’s a lovely children’s fantasy with dashing heroes, not too much blood, magical creatures like Mr. Tumnus and Mr. and Mrs Badger, and several stern admonitions that it’s very foolish to shut oneself inside of a wardrobe (I honestly think Lewis was worried about this, he repeats it so many times). On a symbolic level, there’s a clear Christ story being retold. I feel it works on both levels, for however you want to take it. I’ve always thought that was the mark of the best kind of book–a good story and a strong message where neither one gets in the way of the other. He begins the book with a lovely dedication to his goddaughter, the real-life Lucy. In somewhat contradiction to the story that he wrote the book in a few weeks, he says that he wrote it for her but she grew up faster than it did and she’s now too old for it, “but some day you will be old enough to start reading fairy tales again.” Lewis clearly understood about the cross-age appeal of the best children’s stories. We may go through an age where we think we’re too grown-up for “kids books,” but eventually we get old enough to realize we can come back to them too. It seems you have to be a child to go to Narnia, but the books are lovely to visit for any age!